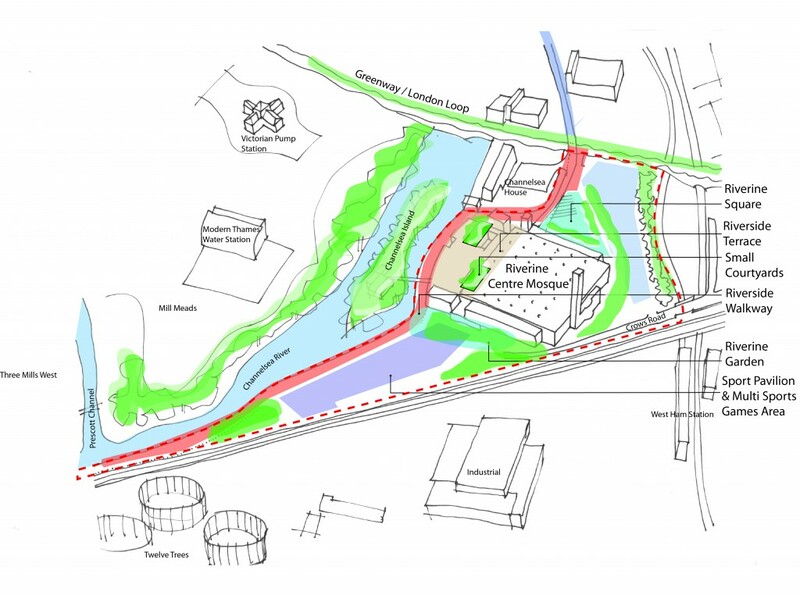 Colvin & Moggridge » Riverine Centre Mosque: masterplan for transformation of East London wasteland. 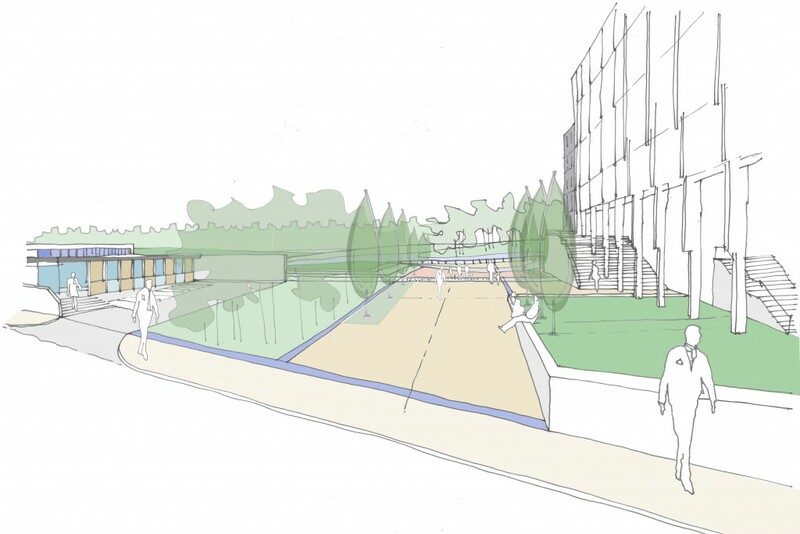 Colvin and Moggridge, in partnership with Cambridge Architects NRAP, have submitted a Landscape Masterplan for the development of the Abbey Mills site in Newham. The project, currently at outline application stage, aims to transform this challenging six-hectare piece of East London wasteland, which is currently isolated from adjacent land use and highly contaminated after a century of chemical works occupation. 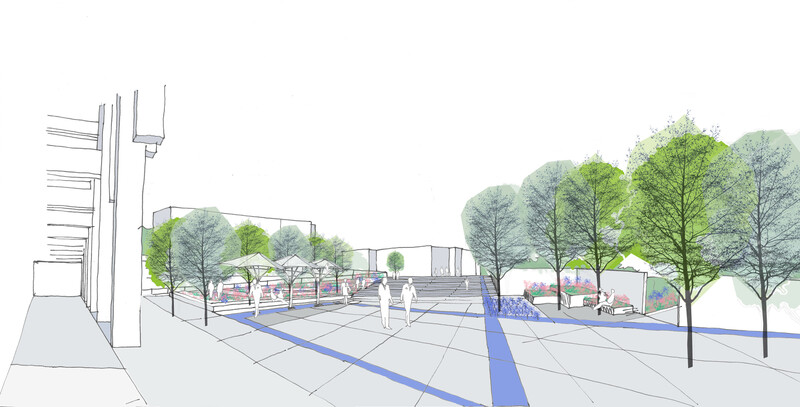 Our Masterplan compliments the impressive architecture and creates an exciting hierarchy of spaces, offering a variety of social, environmental and wider landscape benefits, including safe and easy access; opportunities for physical activity and outdoor recreation; and improved links to Lea River Park. The principal elements of the Masterplan comprise a main civic square; riverside terrace courtyards and Islamic garden around the unique building complex; and a multi-sports games area with pavilion laid out along the Channelsea River. 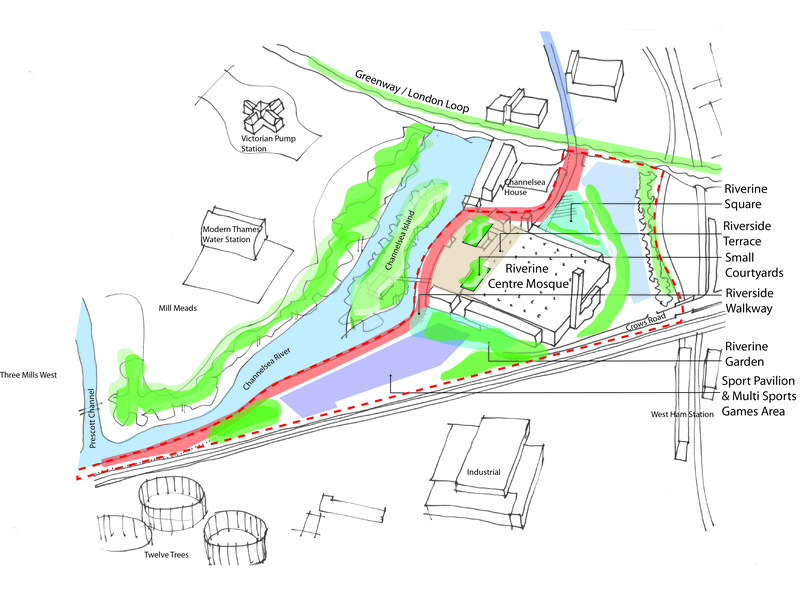 A riverside walkway and cycle path fluidly connect the different site elements.